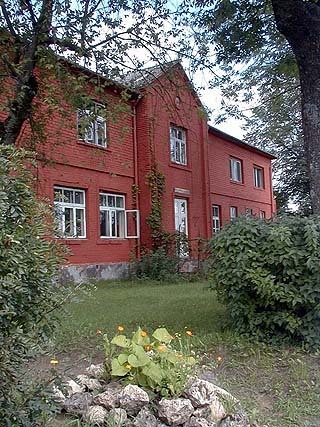 Rite Folkhighschool is a private, self-governing institution, which has its domicile in Rites pagasts, Viesites novads, Latvia. The school buildings must provide for board and lodging as well as education for the students. The objective of the institution is to support a new system of adult education in Latvia by running a Folkhighschool inspired by the Danish tradition for Grundtvigian Folkhighschools. This means, that the superior objective of the school must always be human enlightenment thus giving the students the possibility of developing authoritativeness, frankness, energy and a strong commitment to democratic government and values. - offering general subjects which support personal, creative, social and professional growth within the students. The running of the school is financed by means of voluntary contributions from members of the school association in Latvia and Denmark, fees from the students and subsidies from national, regional and/or local Latvian/Nordic government.